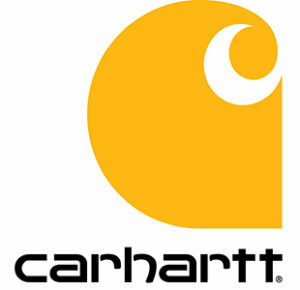 Carhartt makes durable workwear and outdoor gear and is a very well recognized brand across the country. They were founded in 1889 in the Detroit area by Hamilton Carhartt and remains a family-owned private business today. Carhartt is well known for their heavy duty jackets, which are made with a stiff 12-ounce cotton canvas to minimize tears and keep the wind out. They’ve grown tremendously over the years, which obviously means expanding manufacturing capabilities. Are their products still produced here? Let’s run through where their are making all of their clothes today. Verdict: Is Carhartt Made in the USA? Yes, many of Carhartt’s apparel items are made in the U.S. They have manufacturing facilities in Kentucky and Tennessee, have a total of 2,000 U.S. based employees, and source most of their materials from local American companies. Some products are made in Mexico. 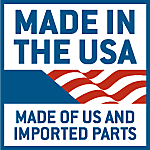 Carhartt identifies their American made products in their online store with a Made in the USA logo, below. They also group those products together in their shop, here. The problem is that this sticker also lumps in products that are made with some imported parts, so they don’t distinguish between what products are made of 100% American parts and which have some imported materials. All products with this label are assembled in the U.S. If a product doesn’t have this label, it is likely made in Mexico.